Daylight saving time starts this weekend. Where do you stand when it comes to springing forward? ST. GEORGE — It’s that time of year again, when clocks turn forward an hour as the season of daylight saving time begins. The rollback takes place early Sunday morning at 2 a.m. Many people have a love-hate relationship with the biannual time change. Those involved in the outdoor recreation and tourism industry often praise daylight saving time because it provides an extra hour of lucrative sunlight for people to spend extra time golfing, hiking and so on. Parts of Utah’s tourism industry have opposed legislative attempts – and there have been several – to drop daylight saving time for this reason. However, opponents argue daylight saving time can be a health hazard, as the time change disrupts an individual’s sleeping patterns, or circadian rhythms. While this may mean some unhappy employees suddenly at work an hour earlier – and unhappy parents dealing with children who won’t go to sleep at their normal time – it may have more serious consequences for others. Studies have linked the time change to an increase in car accidents, injuries and suicide, according to TimeandDate.com. In Utah there have been multiple attempts in the Legislature to drop daylight saving time. One of the most recent attempts would have even placed Utah in a new time zone. A resolution presented by Sen. Wayne Harper, R-Taylorville, during the 2018 legislative session would have moved Utah from Mountain Standard Time to Central Standard Time. The resolution would have also petitioned the U.S. Department of Transportation to allow the state to drop daylight saving time. Like the many measures before it, Harper’s resolution did not survive the session. In 2017, Rep. Norm Thurston, R-Orem, and Sen. Deidre Henderson, R-Spanish Fork, proposed legislation that would put the question of dropping daylight saving time on the 2018 ballot. It also failed. A 2014 survey conducted by the Governor’s Office of Economic Development showed nearly 67 percent of respondents favored year-round Mountain Standard Time, while only 15 percent preferred keeping the semiannual clock adjustments. On the federal level, U.S. Rep. 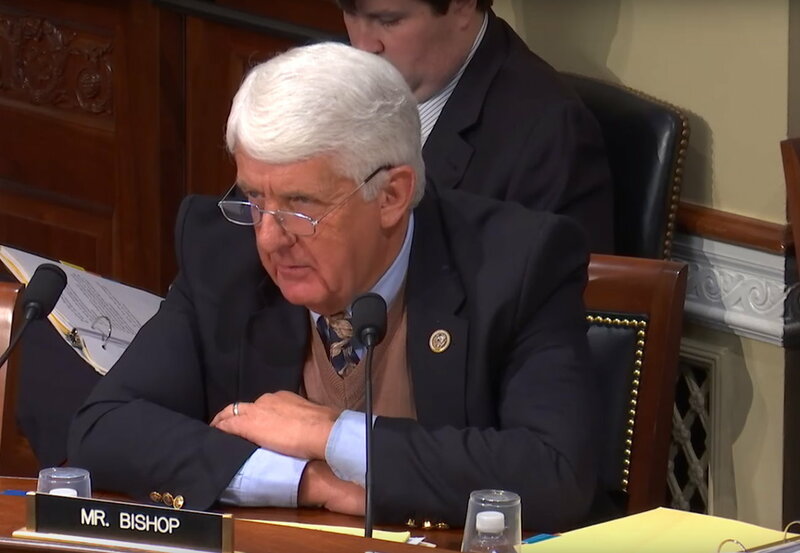 Rob Bishop, R-Utah, introduced a congressional bill in July that would allow states to choose between standard time and daylight saving time year-round. Bishop’s bill has been referred to the House Committee on Energy and Commerce and introduced to the House proper and little more. States are currently not authorized to opt out of standard time. However, earlier this year the Florida Legislature passed a bill that would put the state on year-round daylight saving time, moving it one time zone to the east, put Florida in the same time zone as Nova Scotia. The change will need to be approved by the federal government before the state can implement it. On a wider scale, the European Union is also considering doing away with daylight saving time. 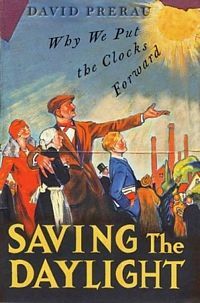 Starting on April 30, 1916, Germany and its World War I ally Austria-Hungary were the first to use daylight saving time as a way to conserve coal during wartime. Britain, most of its allies and many European neutrals soon followed suit. Russia and a few other countries waited until the next year, and the United States adopted it in 1918. During the energy crisis of the 1970s, Congress passed an act keeping daylight saving time year-round. That lasted from Jan. 6, 1974, to Feb. 23, 1975, when the order was rescinded, allowing standard time to return Oct. 27, 1975. Hawaii is the only state that has fully opted out of daylight saving time. The majority of Arizona also does not observe it. However the Navajo Nation, which is primarily situated in Arizona and extends into Utah and New Mexico, does observe the time change. The Hopi Nation, completely surrounded by the Navajo Nation, does not observe daylight saving time. Ed. note: Portions of this article originally appeared in November 2018 coinciding with the end of daylight saving time. Stop the whole stupid thing already ! We should simply STAY on MDT (DST) all year long. It really IS better to have more daylight later in the day. I’m laying down at 2 am and don’t plan on standing. Do away with daylight savings time but keep us in the Mountain standard time zone (-7 hours). If you look at a time zone map you can see that putting us into the Central standard time zone is a bad fit since it doesn’t match the rotation of the earth. The earth rotates 24 times in a day and each time zone is supposed to be roughly 1/24 of that. Moving Utah to CST doesn’t follow that convention. I’m really glad Utah is all one time zone, too. I feel bad for the little chunks of Kansas and Oregon that are in MST when the rest of their state isn’t. What a pain. “The earth rotates 24 times in a day” Are you really that stupid? Typical liberal thinking that the earth rotates “24 times in a day.” The earth is flat too correct? At the risk of being obvious, daylight savings does not give us any extra daylight. The reality is that the government is forcing us to wake up earlier for 8 months a year so we’ll use the extra morning daylight that comes with summer. I get that everyone loves the extra evening daylight in the summer, but if they stopped to think about it, it would still get dark pretty late in June and they can still enjoy long summer nights outdoors without daylight savings time. Time to end the antiquated scheme. It provides no benefit and noticeable confusion each year. I agree. Maybe it made more sense back when most of our electricity was used for lighting but not now. I’m with Arizona on this one. One caveat: Come June, the sun will be coming up around 5:15 each morning, MST. The sun starting to come up at 5:15 in June is fine, that lets you get stuff done in the yard, go running, etc before going to work. I have still never met anyone who likes the day light savings time change one way or the other, and we seem to be stuck with it anyway, the outdoor recreation and tourism lobby has a lot of influence on our elected officials it would seem. enough influence to keep it off the ballot I guess, otherwise they should just let us vote on it . Please, stgnews, I beg of you, don’t post any photos of broken clocks that show the incorrect time. It’s very distressing and I don’t think many of us here could handle the trauma and emotional toll. I agree. Leave the clock alone, and stop this archaic time change that was started during WWI. The sun will rise and set no matter what we do with the clocks.